CrossPoint was first introduced to the First Baptist Church of Center Point as an idea on October 25, 1998, when Ryan shared with the church a message, “A Vision for a New Millennium.” The concept of beginning a satellite campus called CrossPoint to reach JUST ONE MORE to become a fully devoted follower of Jesus Christ. After months of prayerful consideration, the church decided to embark on the journey of becoming a multi-site church. The plan was simple—we would become one church with two locations. The foundation for this landmark decision was built on Ephesians 3:20-21: Now to him who is able to do far more abundantly than all that we ask or think, according to the power at work within us, to him be glory in the church and in Christ Jesus throughout all generations, forever and ever. Amen. On February 26, 2000, land was purchased in Argo, Alabama, for the purpose of starting the satellite campus. From that point forward, God would do incredible things to make the new vision a reality. Within 18 months the church would pay for the 25 acres purchased and begin developing plans for building a permanent structure at this new campus location. On July 8, 2002, construction of Phase I began with the help of more than 200 volunteers from 11 different states. 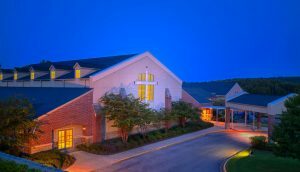 The God-given dream of First Baptist Church of Center Point establishing a satellite campus became a reality when CrossPoint began it’s ministry on April 6, 2003. A new church was born on January 2, 2005. It would be called CrossPoint, a Southern Baptist Church. On its birthday CrossPoint accepted approximately 290 families as new members. 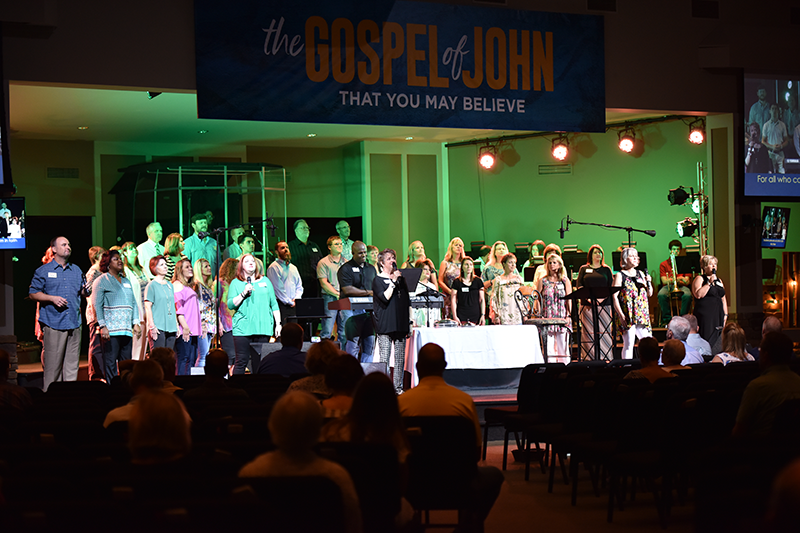 Each new member signed a membership covenant stating that they would support the work of the Lord in this new place with their service, ministry, lifestyle, time, and money. The vision of reaching JUST ONE MORE to become a fully devoted follower of Christ would now become the driving vision of a new church. On the evening of November 6, 2005, while just 10 months old as a church, CrossPoint determined it was the Lord’s will to begin building Phase II to provide more space for JUST ONE MORE. CrossPoint’s growth had exceeded 300% since April of 2003. Over 100 families had joined since February, 2005. The leadership very prayerfully recommended that CrossPoint move according to God’s timetable for building the next phase. Previous plans and existing facilities simply would not allow CrossPoint to continue reaching JUST ONE MORE at the rate we were experiencing. 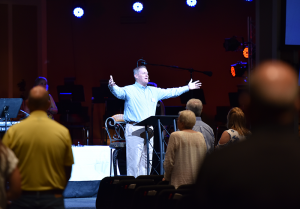 CrossPoint had expanded its Sunday morning schedule from one worship celebration and one Bible study hour in 2003 to three worship celebrations and three Bible study hours by February, 2006. With the Lord continuing to add to CrossPoint every month, existing education space had become inadequate by mid-2006. When the first building of Phase II opened in February, 2007, much needed additional education space was immediately utilized for reaching JUST ONE MORE through Bible study, discipleship, and fellowship. CrossPoint opened a new recreation facility in the fall of 2007. The second floor of this three-story recreation center holds two full-court regulation basketball courts connected end to end. Additionally, a walking track circumnavigates the third floor of this state-of-the-art building. More than a place for athletic competition and recreation, we believe the Lord will use this facility to help us reach JUST ONE MORE to CONNECT with God, with God’s people and God’s plan.